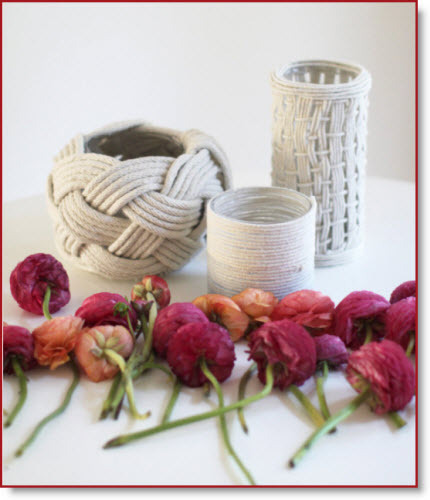 Abby Larson is the Editor & Founder of “Style Me Pretty Living” and created these amazing tutorial “DIY Rope Vases”! I know I have many glass vases sitting on top of my refrigerator and I want to try one of her rope vases. I would like the Celtic knot one. Abby shows us just how to make each of her three rope vases to add a new look to are home. She has many pictures to guide us through each processor. Abby has a stunning site with plenty to inspire you and I want to thank her for sharing her talent with us.